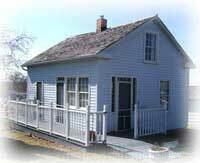 The Mazzuchelli Rectory Museum houses memorabilia associated with the life of Father Samuel Mazzuchelli, the well-respected pioneer priest who served as pastor of Benton’s St. Patrick Church for the last 15 years of his life. Italian-born Samuel Mazzuchelli came to America in 1828, at the age of 22. Following his ordination, he was assigned to be missionary priest of the entire Northwest Territory—a region that covered over 52,000 miles of untamed frontier and included the far reaches of Mackinac Island and Sault Ste. Marie. Father Mazzuchelli’s missionary work ultimately brought him into the Mississippi Valley, arriving in Galena in 1835. Galena and the surrounding area in Wisconsin were beginning to be settled with the permanent communities of miners, farmers, and various trades’ people. Father Mazzuchelli ministered to the people of this region, where he established over 40 parishes and built 25 churches, including Benton’s St. Patrick Catholic Church and New Diggings’ St. Augustine. Father Mazzuchelli died of pneumonia in 1864 and is buried in St. Patrick Church Cemetery. In 1993 Pope John Paul II declared Father Mazzuchelli venerable, the first step toward canonization as a saint. Father Mazzuchelli’s first rectory has been restored and now houses the Mazzuchelli Rectory Museum. 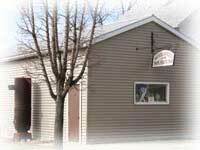 The museum is available for tours by contacting the St. Patrick Church Rectory at 608.759.2131. Located on the town’s Main Street, Swindlers’ Ridge Museum is home to artifacts and historical memorabilia from Benton and from the surrounding area. 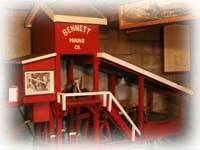 Included is memorabilia from the lead-mining industry that once was so prevalent in and around Benton. The museum is open from 11 A.M. to 3 P.M. every Saturday, Sunday, and Monday between Labor Day and Memorial Day. Other visits may be made by appointment by contacting Leo or Sandra Scanlan at (608) 759-2722. 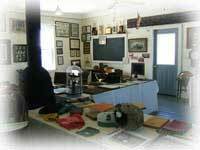 Benton is fortunate to have a part of its educational history preserved in the 1851 Schoolhouse Museum, the first schoolhouse built in the village limits. At the time of its construction in 1851, the schoolhouse was located near the corner of Main and Park Streets, and although it was a public school, Dominican nuns were among its teachers until 1886. When a new two-room school was erected in 1886, the first schoolhouse—according to oral history—was moved to the rear of the new school. After being sold some years later, it was moved one-quarter mile east on Highway 11 and used as a private residence. In 1980 the building was donated to the Benton Alumni Association and was moved once again to its present location on Catherine Street in the Village Park. The museum houses a collection of Benton school and alumni memorabilia. It is open on Labor Day and Memorial Day weekends and other times by appointment by contacting Myrna Sysko at (608) 759-4791.